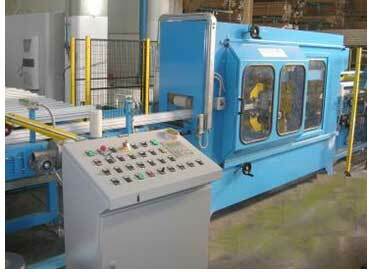 These machine are designed to apply a strip of adhesive film along the top and bottom sides of the profile. The machine is designed to operate continuously with an operating speed of up to 40 m/min with suitable infeed and outfeed roller conveyors. for applying protective film on aluminium extruded profiles. Machine for applying protective film on aluminium & other metal sheets. We also supply cutting machine to slice longer rolls of protective tape into desired width.